I love finding ways to repurpose clothing, and accessories. Why dispose when you can recreate? 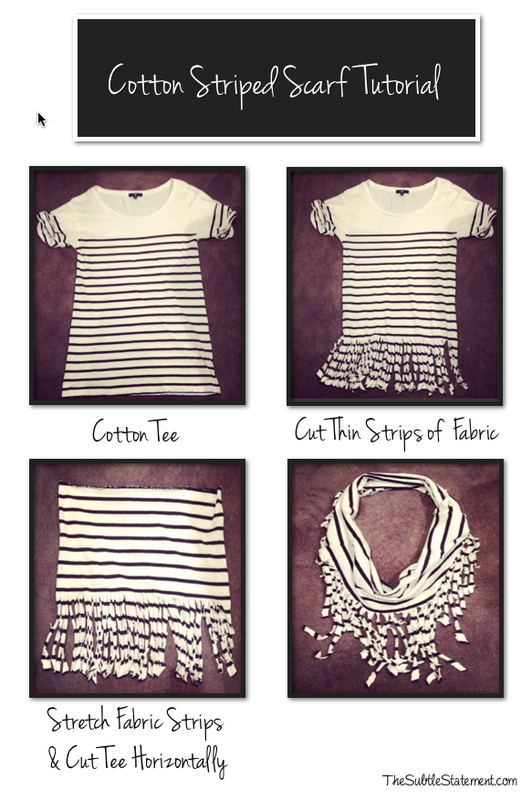 Erica from P.S.-I made this… inspired me to turn an unflattering tee into an effortless accessory. All you need is a pair of scissors.